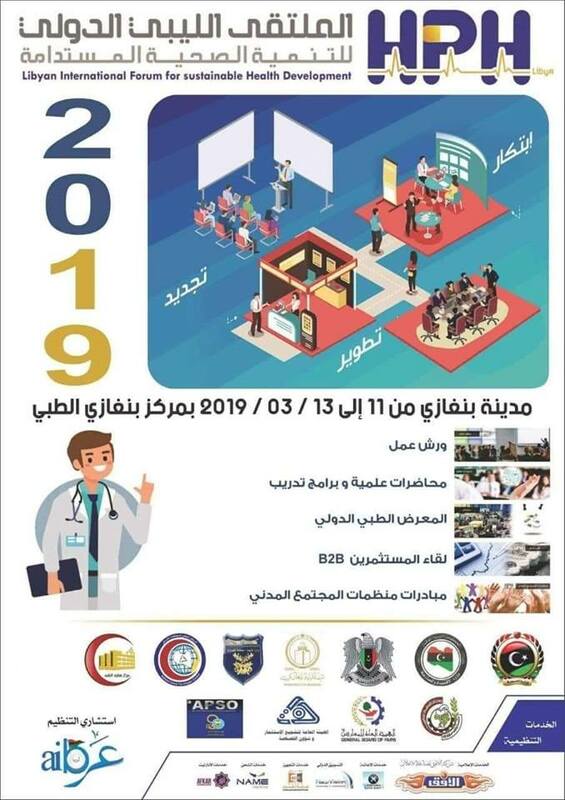 The Libyan International Forum for Sustainable Health Development 2019 was held in Benghazi 11-13 March (PIB east). The Second Libyan International Forum for Sustainable Health Development 2019 was held at Benghazi Medical Centre (BMC), Benghazi from 11-13 March. The event was sponsored and supported by a number of eastern government entities, including the eastern region Privatization and Investment Board (PIB). The organizers reported that the event held workshops, seminars, training sessions, B2B meetings as well as an exhibition for health sector companies. The PIB said that the event helped spread the culture of sustainable development in the sector and introduce potential investors to the advantages of investing through the PIB’s Law No. 9 of 2010. It will be recalled that the PIB, which is part of the Ministry of Economy, is the primary governmental body for encouraging private foreign investment in Libya through Law No. 9 of 2010, which provides the primary legal framework for foreign investors. Law No. 9 was passed prior to the 2011 revolution, under the Qaddafi regime. The subsequent post-revolutionary governments and parliaments have expressed their desire to amend and update this law to make it even more attractive to investors, in line with regional and international competitors and standards, but in reality, the law has remained as it is. The PIB has also been the victim of Libya’s political polarization and division. While not splitting officially like the Libyan Investment Authority (LIA), the Central Bank of Libya (CBL) and the National Oil Corporation (NOC), for example, it nevertheless has split administratively into three different entities. There are two people, for example, claiming to be the official heads of the PIB in Tripoli and another effective head in the east of Libya under the control of the Interim Government of Prime Minister Abdulla Thinni. However, PIB sources have informed Libya Herald that Faiez Serraj is in the process of unifying the PIB under his internationally-recognized Presidency Council and Government of National Accord.